Minecraft fans are worldwide! 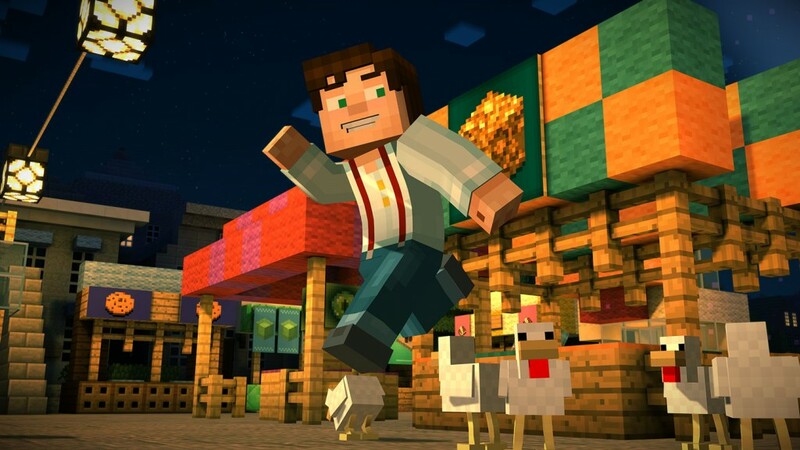 Regardless if you are a Minecraft Pocket Edition fan, a Telltale Games fan, or a Telltale Games fan who also likes to play Minecraft in surviving the zombie outbreak, then we’re almost positive that you are excited about Minecraft Story Mode. Yes, this is Minecraft with all the plot twists, surprises and excitement a narrated game can offer. Telltale’s episodic treatment of the Minecraft Universe is coming out on October 27th. Just in case you haven’t heard of this game yet, Minecraft Story Mode gives you the ability to take on the role of Jesse – how Jesse looks is totally up to you – (this is a first in Minecraft history), and you get to be the protagonist in your own story within a Minecraft world. Featured below is the first gameplay video of the game thanks to Twitchcon. At first glance it’s quite obvious that the game looks pretty promising. 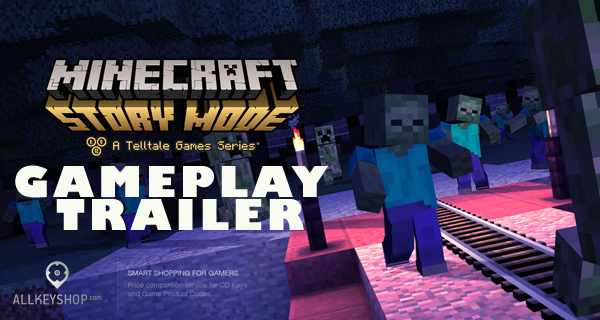 Minecraft Story Mode’s trailer shows the first few minutes of the game, so if you don’t want spoilers you can go ahead and skip that part. If you don’t really care about the slight spoilers and you decide to view the video, you’ll see the world you’ll be playing in looks very similar to Minecraft, and your character’s smooth graphics and animations are really fluid and simple. The inventory looks like a typical Minecraft inventory, that’s because they want to keep it as “classic” as possible. You can hear the commentary mentioning that the game will be an “all-ages” adventure like the Goonies and Ghostbusters. However, in true Telltale Games fashion, this game will still require players to make some very difficult choices. Some of the choices you’ll have to make have something to do with building stuff, a very interesting departure from other Telltale games.